Starting pitcher Jeremy Hellickson was one of six Tampa Bay Rays arbitration-eligible players to re-sign on Friday. After agreeing to a 1-year, $14 million deal with ace David Price on Thursday, the Tampa Bay Rays came to terms Friday with their six remaining arbitration-eligible players. Those include right-hander Jeremy Hellickson, outfielder Matt Joyce, catcher Jose Lobaton, infielder/outfielder Sean Rodriguez, plus relievers Jake McGee and Cesar Ramos. "It’s a process that, for the most part, has stood the test of time," said Andrew Friedman, the Rays’ executive vice president of baseball operations. "It’s a fairly objective process and something that when two parties approach it with the mindset to get something done, usually you can figure out a way to do that. I was cautiously optimistic, and obviously, we’re thrilled to have resolved all of our (arbitration) cases." Hellickson and Joyce were considered to be two of the more interesting choices leading into Friday’s deadline. Hellickson, 26, went 12-10 with a 5.17 ERA last season in 32 games (31 starts), but he struggled late in the year, posting a 9.15 ERA in five August appearances and a 4.87 ERA in five September games. 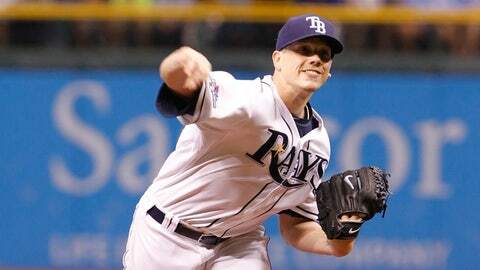 The 2011 American League Rookie of the Year is 39-31 in four seasons with the Rays and has a 3.70 ERA. Hellickson will make $3.625 million as well as $25,000 in incentives if he pitches 195 innings. 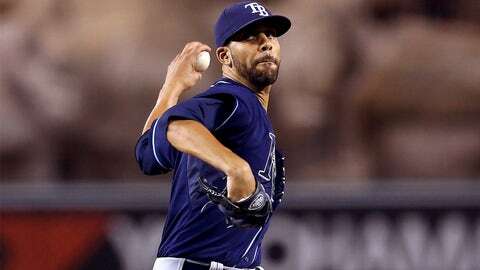 The Rays and former Cy Young Award winner David Price have agreed to terms on a one-year deal worth $14 million. Joyce, meanwhile, hit .235 with 18 home runs and 47 RBI in 2013. He labored at the plate late in the season, hitting .089 in 56 at-bats in September. The 29-year-old, who will earn $3.7 million, was an All-Star in 2011, and he drew a career-high 59 walks last season. "We’re obviously very big believers in both of their abilities," Friedman said. "With Jeremy, there were some things out of his control and other things that were more in his control. We’ll spend spring training talking through his process-related things. … On Matty, he’s a guy who historically has been incredibly strong against right-handed pitching. He does a lot of things that we value a lot." Lobaton made 76 starts last season, his first full campaign in the major leagues. He hit .249 with seven home runs and 32 RBI. The 28-year-old signed for $95,000. Rodriguez, 28, played in left field (47 games), first base (23), right field (eight), shortstop (seven) and second base (five) last season, starting 51 of 53 Rays games against left-handed pitching. He hit .246 with five home runs and 23 RBI. Rodriguez will make $1.475 million, plus $25,000 in incentives if he records 300 plate appearances. McGee, whose deal is worth $1.45 million, was 5-3 with a 4.02 ERA in 62 2/3 (71 appearances) last season. The 27-year-old had a 2.31 ERA in his last 56 games. Ramos, 29, was 2-2 with a 4.14 ERA last season, his first full year in the major leagues. He set a career high for innings pitched (67 1/3), strikeouts (53) and games finished (25). He will earn $749,750. With these deals, the countdown to spring training draws closer. 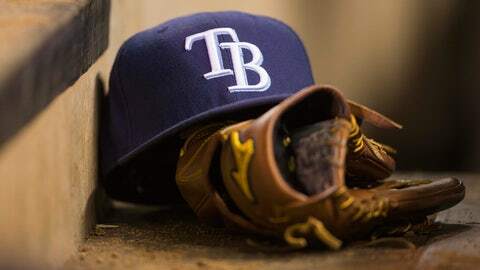 Rays pitchers and catchers report Feb. 14, and the first full-squad workout is scheduled for Feb. 20. Tampa Bay settled its business before Friday’s key deadline, and that pleases Friedman for good reason. "You’re certainly able to exhale a little bit when you get to this point and you’ve cleared the arbitration process," Friedman said. "We can really get our focus back on the field and to the things we want to address before spring training. "We still have a lot of things we’re focused on and working through, and (we’re) trying to play through different scenarios of ways to continue to make us better."